Bayer Leverkusen have a long and proud history of influential midfielders who can dictate play and on recent evidence, Kai Havertz is stepping up to an illustrious plate as the BayArena's new general. Michael Ballack, Bernd Schneider, Toni Kroos, Carsten Ramelow, Bernd Schuster and Arturo Vidal are just a selection of the star names who set the tone at the heart of the action over recent decades. Roll into one the creative and finishing qualities of Ballack and Kroos, the combative skills of Ramelow, the intuition and dribbling ability of Schneider, and the physical presence of Schuster and Vidal and you have the makings of a midfield master. You also have Havertz. Still just 19, the Aachen-born youngster is quickly developing into a fundamental feature of a Leverkusen team seeking to restore their place among Europe's leading clubs. An amalgamation of his BayArena predecessors, he has a maturity which defies his age. In the recent 3-2 UEFA Europa League win over Ludogorets in Razgrad, he steered in two goals. A few days later, his goal earned Die Werkself three crucial Bundesliga points against Mainz, and he was as influential as ever in the 2-1 midweek win over Fortuna Düsseldorf. His shot was turned behind by Michael Rensing for the corner with which Leverkusen took the lead. He then provided a delightful assist for Kevin Volland to make it two and give them a cushion they ultimately needed to secure another vital three points, as Leverkusen's season finally gained lift-off. "There's nothing more to say about Kai," enthused Leverkusen's sporting director Rudi Völler, allowing the facts to do the talking. Indeed, in his first 61 Bundesliga games, Havertz has had a direct hand in 25 goals. They had lost three in a row this season until the teen sensation took matters into his own hands in their last three outings. The two-footed midfielder – equally comfortable on his left and right foot, and as he showed in the Matchday 4 win over Mainz also adept with his head – is a technically-gifted, rare breed of player known in Germany as an 'Alleskönner' – somebody who can do everything. That is because he is also versatile: able to shine deep, centrally or advanced in the midfield; a six, an eight or a ten. His dribbling skills render him a threat when he runs with the ball, although he has the intelligence to identify the right moment to push and know when he should instead sit, take the pace out of the game and circulate the ball. Awarded the Fritz-Walter gold medal by the Germany Football Association (DFB) in the summer for his brilliance at youth level, an even greater award followed with his recent first cap for Germany's senior team. 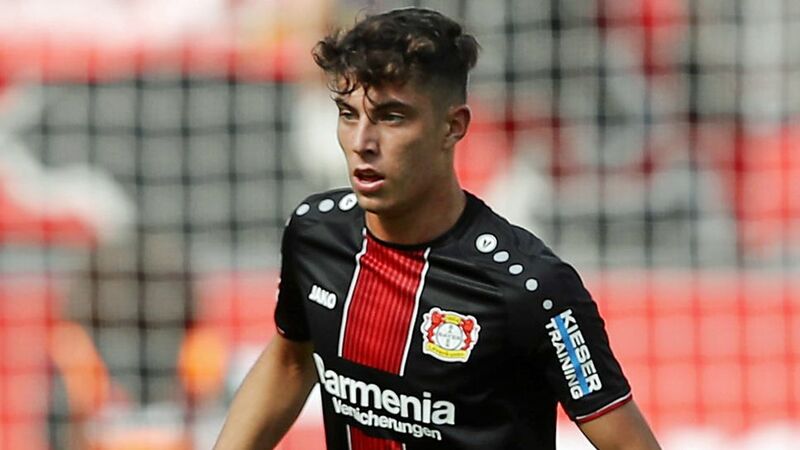 "It's a dream come true," said Havertz of his short cameo appearance against world champions France in the UEFA Nations League – the first of presumably many in his country's colours.